Born in Tehran during the Iran-Iraq War of the ’80s, Mitra Naseh, a doctoral candidate in the School of Social Work at FIU’s Robert Stempel College of Public Health and Social Work, is all too familiar with the consequences that come along with armed conflict, dearth and displacement. Her homeland is one of the most active refugee host countries in the world, and she grew up witnessing widespread discrimination against the displaced. 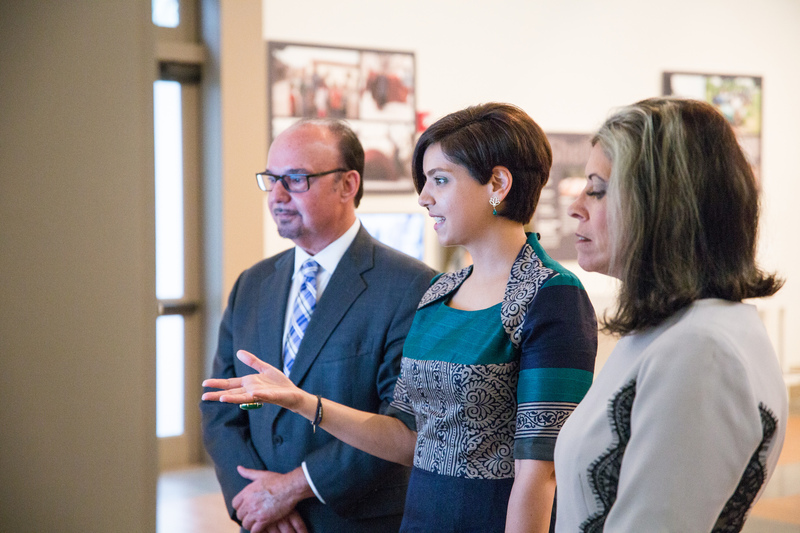 To shed light on the plight of millions, Naseh recently unveiled an exhibition at the Coral Gables Museum as guest curator. The immersive show titled Sheltering Survivors is on view through May 27, 2018. At Stempel College, nearly a decade later, she is concentrating on refugee welfare for Syrian refugees in both Lebanon and Jordan, as well as Afghan refugees and returnees. Her focus is on standards of living, health and education. Within the exhibition, Naseh creates opportunities for museum patrons to interact with the pieces that depict the lives of forcibly displaced people. 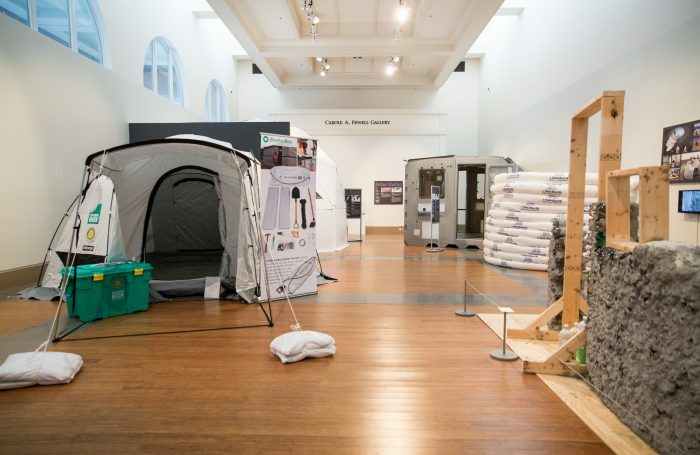 Guests are encouraged to enter and explore transitional and emergency shelters to get a glimpse of the deplorable conditions refugees experience. Creative shelter designs are also included to show how crucial it is to instill hope in the refugee settlements with components designed to make structures feel more like a home. Naseh learned about of the styles of shelters through research for a paper she is preparing with her advisor Miriam Potocky, a social work professor at Stempel College. Voices of Syrian refugees recorded in Jordan follow guests throughout the exhibition, and a wall of images captured by humanitarian workers (Naseh’s former colleagues), photojournalists, professional photographers and forcibly displaced individuals are on display from 24 countries. 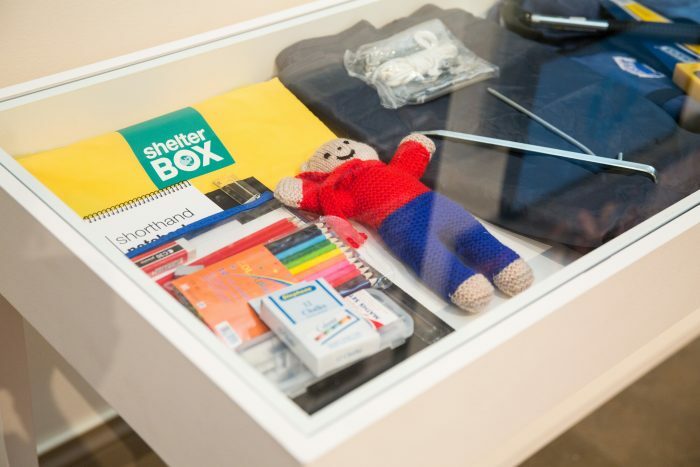 Most refugees live in open areas without protection from the elements, and Naseh’s curatorial debut underscores the importance of shelter for maintaining safety, identity and dignity, which are all the most basic human needs. She considers this exhibition a significant opportunity to start a conversation, beyond the academic context, about the world’s forced displacement crisis. It took one week for Naseh and the museum team, with support from three FIU undergraduate students from the Moss School of Construction, to install the exhibit and its larger pieces; the shelters were purchased or borrowed from various organizations such as Better Shelter, ADIFF, Suricatta Systems and ShelterBox USA. Forced displacement happens for various reasons including natural disasters, violence, ethnic cleansing and political and religious conflicts. The UN Refugee Agency reports that 65.6 million people were forcibly displaced at the end of 2016; that is an average of one in every 113 individuals in the world. Once she earns her doctorate, Naseh has her sights set on returning to the UN, perhaps as a consultant, to provide evidence-based interventions for refugees at the field level.